(Truth Inside Of You) In 1999, Keanu Reeves became most famous for his role in the groundbreaking science fiction film, The Matrix. It earned an impressive $463.5 million at the box office and was nominated for and won four Academy Awards. The Matrix is a happy story in a lot of ways, but the life of its star wasn’t always. In 1998, Keanu met Jennifer Syme. The two fell instantly in love and by 1999, Jennifer was pregnant with their daughter. Sadly, after eight months, their child was born stillborn. They were devastated by her death and it eventually ended their relationship. 18 months later, Syme would die in a car accident. In 2006, Reeves told Parade Magazine, “Grief changes shape, but it never ends.” It’s a lesson that we’ll all likely learn. 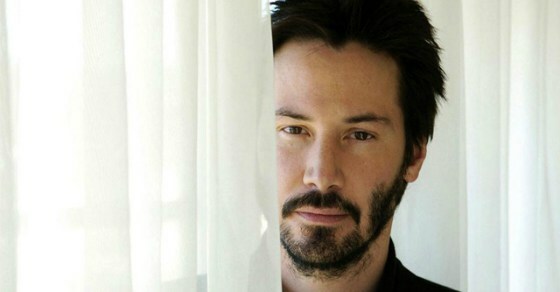 Even with those incredible tragedies, Reeves would push on. He’s starred in a variety of blockbusters and has become a wealthy man, but the pain of his losses has changed how he thinks about money. He’s well known in Hollywood for being among the more charitable actors. After the successes of The Matrix and its sequels, Reeves gave $80 million of his $114 million earnings to the special effects and makeup staff of the films. He also took pay cuts on the films The Replacements and The Devil’s Advocates so stars like Gene Hackman and Al Pacino would agree to be in the film while keeping casting within the designated budget. There are some incredible personal accounts of his kindness as well.